While we have grown over the years and gained vast experience and expertise in the kitchen business we have kept our team relatively small and close knit which ensures our customers get a very personal service. We pride ourselves on using the best quality materials that will not only look amazing now but in many years to come, surviving life’s everyday wears and tears and lasting for generations. 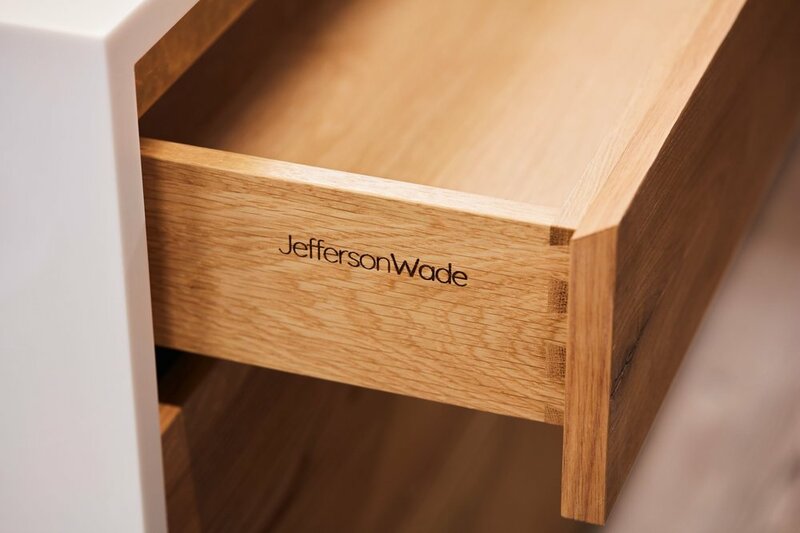 All our kitchens are precision made on our site in Yorkshire using our state of the art CNC machine ensuring exact accuracy. Because we’re slightly obsessed with materials and attention to detail, we’re the first to admit that if something isn't perfect we are not satisfied, if something is half a degree out or 1mm proud it will not pass quailty control. This ensures our kitchens perform brilliantly and feel as good as they look. So, whether you know what you want or you’d like some help deciding, if you’re looking for a unique, original, beautifully designed kitchen with modern living in mind, then don’t hesitate and make the most of our free bespoke design service, our designers are always happy to help.